For those of you that know me well, you know I am a makeup sponge girl! I personally don’t like a lot of foundation, so I use a damp blending sponge everyday to apply my makeup. It’s the best way to achieve a natural look without being streaky or cakey. It’s also extremely quick! There’s been a new trend in makeup applicator’s and many companies have come out with various silicone pads to apply your makeup. The ad’s claim that you won’t waste as much makeup if you use their tool. 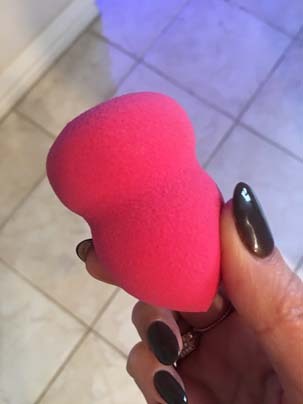 I’ve been asked what I think about the makeup blending sponge vs. the makeup silicone applicator. So, here are my thought’s regarding the pros and cons of both, as well as my personal preference. *Smoother, more uniform blending, no streaks or unevenness. *You can control how much coverage you get, and place it exactly where you want it. (If you have a blemish you can put more coverage only on the blemish without having to add it all over your face.) You can build coverage, but it doesn’t start out applying a ton of product. *Smaller tip allows for easy access to get into areas around nose and under eyes. *You can easily apply highlighter, foundation, or cream blush with it. *It takes a bit longer to wash out products than the silicone applicator. 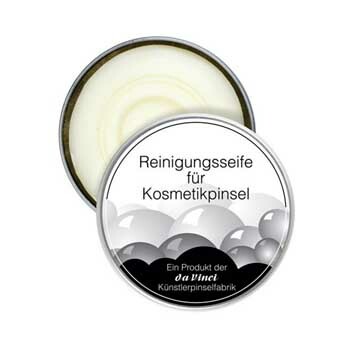 *Can tear and wear out easier than the other applicator. 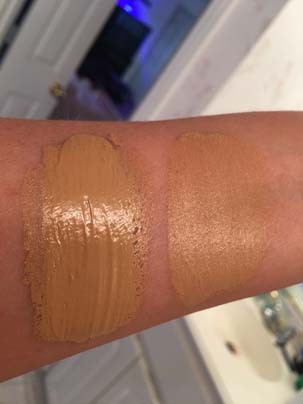 *Foundation won’t soak into the flexible, non-porous silicone surface of applicator. This means you use less product than if you apply it with a blending sponge. *Easier to clean and lasts longer than a blending sponge. *Gives uneven coverage and a streaky application. *No good way to get into crevices and smaller areas around nose or under eyes. *Applies a ton of makeup, you have no control over how much coverage you get. It is a very heavy application. *Cannot apply cream blush or highlighter with it. Needless to say, overall I am not a fan of the silicone applicator. I feel like you get the very best application with a slightly damp makeup blending sponge. Even if you like a heavier application, you can always build the amount of coverage with the sponge. I would even recommend a brush before I would recommend the silicone applicator for more even coverage. In defense of the silicone applicator, I do have to say it works great for applying a serum or gel. I have used it instead of my fingers because it doesn’t absorb as much product. It really does help all of the product go directly onto the skin. Hope this review helped you. Bottom line, it’s all about personal preference. If you want heavier coverage, check out the silicone applicator. For softer, more buildable coverage, use the sponge. 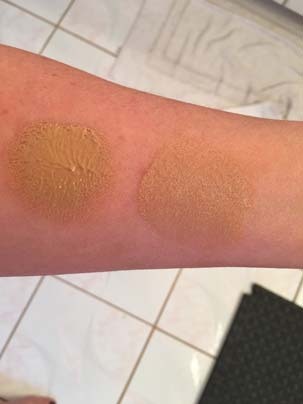 SILICONE / SPONGE – These are only from swiping foundation on arm once. You can see how incredibly thick and uneven the silicone application is vs. the sponge. SILICONE / SPONGE – Just blotting a small amount of foundation on my arm. Help me celebrate the launch of my new luxury makeup and brush website randeestrandcosmetics.com! I’m so excited to announce the launch of my new luxury makeup website randeestrandcosmetics.com! Check out my complete line of pro cosmetics created for all skin types and skin tones. Choose from a full line of professional handmade, vegan brushes too. Join me in celebrating by using a client appreciation discount code at randeestrandcosmetics.com now through November 30, 2017. Don’t know what you need? Come in to the studio to get matched up and explore the full line! Let me start out by saying that Randee Strand Artistry does not represent LipSense, nor are we distributor’s. I’ve been asked once or twice about a product called LipSense. I have purchased several colors just to try it out. In my experience, there are quite a few positive and negative aspects to the product. 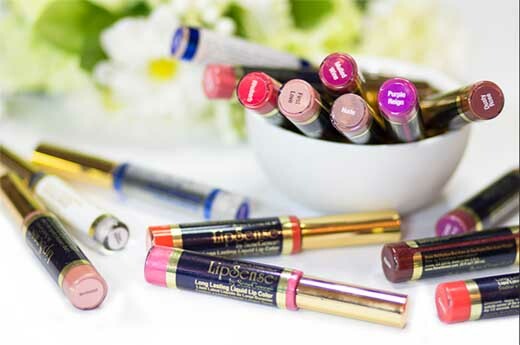 LipSense claims to be a “smear-proof, water-proof, budge-proof, kiss-proof, long-wear lipstick. It’s lasting abilities are a result of Senegence’s patented super-adhesive lip color formula, a multi-layered lip color process, and sealing ‘top coats’” (aka glosses). Here are my positive thoughts – They come in a variety of colors to choose from. It does last for a long time versus regular lipstick. You must use a gloss to seal in the lip color, but they come in several finishes. Matte, glossy, glitter, shimmer, or an opal finish are your options. Since you have to put three coats of color on, you can layer different LipSense colors to come up with your own shade. Here are my negative’s – Even combining several colors, I still couldn’t find a color to match my favorite lipstick. The product is very drying and crumbles when I wipe my mouth after I eat (it contains cosmetic grade alcohol and I was told that this is part of the natural exfoliation process that occurs when you first start using LipSense, and it eventually stops once the formula has removed all the dry skin/build up from wax-based products). However, it continued to be an issue even after using it quite a few times. I still have to use my own lip liner since they only have a few of their long-lasting colors. You must apply three coats and let it dry, and then apply one of the glosses to seal in the color, so it can be a bit time consuming. LipSense “Oops Remover” doesn’t really work, so leftover color is extremely hard to totally remove. As with many Mary Kay reps, LipSense sellers can tend to hassle you and use the “hard sell” method to pressure you into buying from them. On a side note, some people complain about their lips burning when they apply the colors. It does have a very strong effect when I apply them, but to me it isn’t so severe that it’s painful like some people claim. Needless to say- if you are already in love with them, then I say, “if it ain’t broke, don’t fix it”. If you aren’t, you need to decide if you want to spend $25 per color, plus the same for at least one gloss since it is required to “seal” the color onto your lips. Either way, this is just my two cents on these products. Hope this helps you figure out if it’s right for you. The old saying, “You get what you pay for” is so true! Hiring a budget makeup artist not only ensures a poor makeup application that doesn’t last, but also increases your chances of getting horrible infections. 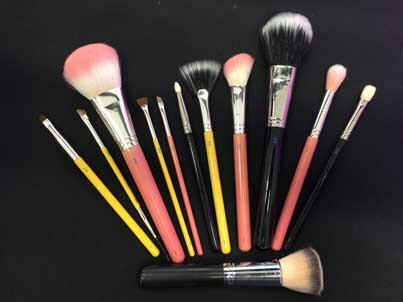 Professional makeup artists realize the importance of using sanitary brushes and makeup. Your personal artist needs to have excellent hygienic practices! Cosmetics have a shelf life, but you may not realize that they need to be cleaned too. Not only do brushes need to be washed, but since you are dipping into that powder blush every day, you better keep it clean too. Never, ever, ever should a makeup artist blow excess product off of a brush. It absolutely spreads bacteria and is an unprofessionalism that you shouldn’t be paying for. Mascara is something that should only be used on one pair of eyes, unless disposable mascara wands are being used. A tube of mascara is the perfect breeding ground for conjunctivitis and other eye infections, so its good sanitary practice to use disposable mascara wands for each client. And mascara should never be double-dipped! Doing makeup is an intimate business. Touching products, tools, and someone’s face without sanitizing your hands is gross and disrespectful. Don’t trust someone who doesn’t sanitize their hands before getting started on your face. When you see powder products that are cakey looking, that means they are not clean. Cream products that have been re-dipped into for many faces can actually grow bacteria. Sanitizing makeup is just as important as cleaning makeup brushes. 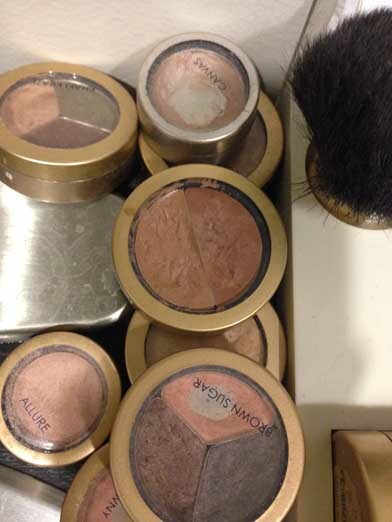 5. offers a bad makeup application – muddy looking, streaky, uneven due to too much old product. If they’re already caked with makeup, how can they apply it properly? 6. damaged brushes – dirty brushes lead to them wearing down more quickly causing them to shed on your face during a makeup application. 7. you risk accelerating wrinkles – dirty makeup brushes can expose the skin to oxidative stress from free radicals, which causes a breakdown of collagen and elastin and can result in premature aging. On a personal note, dirty brushes ruin your investment. Cleaning your brushes keeps them in good shape and prolongs their life. Decent brushes often cost as much or more than cosmetics, so it’s worth the few minutes you’ll spend cleaning them. This will keep them looking nice and lasting for years to come. Take a second and try to think of the last time you cleaned your makeup brushes. If it wasn’t recently, I have listed many reasons above that should make you run to the bathroom to clean them. So, in summary, don’t hire a cheap, inexperienced makeup artist, and clean your makeup and brushes! Here are some quick instructions on how to clean both. Beauty So Clean’s chemical-free makeup sanitizers are easy to use and loved by makeup pros. Unlike pure alcohol or a water-diluted version of alcohol, the formula won’t dry out creams or powders. They sell small wipes, or my favorite is the cosmetic sanitizing mist. You can either use the wipes on lipstick or the sanitizing mist on powder and cream products. Follow the more detailed instructions on the bottle. I sell a special curd soap that is made in Germany. This not only cleans the brushes, but it conditions and sanitizes them too. This is something that baby shampoo and dish soap won’t do for you. It smells great and a little bit goes a long way so it lasts forever. Makeup Brushes Are Key To A Great Makeup Application! Obviously you’ve spent a lot of time and money creating your makeup collection. You have the products you love, and they make you feel like you look your best. Unfortunately you might be overlooking one of the most important elements in your collection! Believe it or not, quality brushes are essential for providing a flawless look. Spending a bunch of money on high quality makeup will not do much good if the proper tools are not used to apply it. There are many benefits to using brushes instead of your fingers to apply makeup. You’ll get much more even coverage using a brush, and a more polished finish. Your makeup stays on longer, it’s blended well, and the brushes just feel so nice against your skin. It’s also more sanitary to use a brush, and it’s especially important for acne-prone skin, as it helps prevent breakouts. Plus, using soft brushes instead of rubbing skin with fingers reduces signs of aging. Many people will be surprised to know that even though makeup is a billion dollar industry worldwide, most ladies don’t have a clue how to find the perfect brush. It’s always a good idea to invest in a great brush, even if it may seem costly. Many studies suggest that investing in a great brush will save a person money in the long run, because a high quality brush can be utilized for years. So how can you tell if you are buying quality brushes? For the most part, I personally prefer synthetic bristles since they prevent the brush from soaking up too much foundation and getting gunky. This also saves you money over time since you’ll use less makeup. It’s always a plus if they are anti-bacterial, have wooden handles, and are handmade with soft bristles. Easy to grip handles also cause makeup application to be effortless and effective. 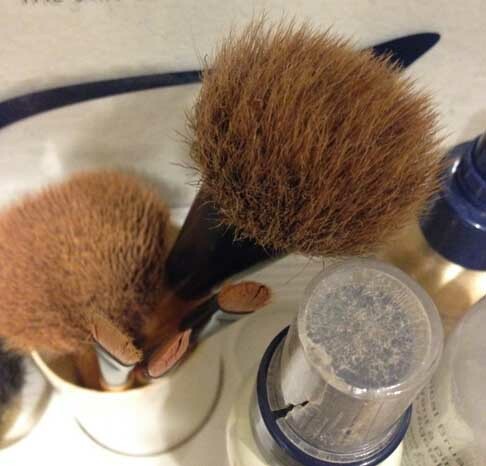 Very important – remember to wash your brushes frequently! This will remove dirt and buildup accumulated in the bristles. Brushes should be washed with brush soap and warm water so they are not only washed, but conditioned and sanitized too. This is something that baby shampoo and dish soap won’t do for you. Lack of proper cleaning reduces the longevity of the brushes and causes you to lose bristles. If you are looking for high quality brushes that won’t break the bank, I sell brushes that are handmade, vegan, synthetic & mixed (depending on use), anti-bacterial, and extremely soft. Whether you are looking for a basic set, deluxe set, or just a few individual brushes to add to your collection, I have it all. Also choose from pink bamboo handles or black wooden handles for your set. Have brushes and don’t know how to use them? Need brushes, but don’t know which one’s will work for your specific needs? Come in to the studio to look around or book a one-on-one makeup lesson. If you aren’t in Dallas, TX, you can still book a private lesson with me via the internet. I will personally walk you through your regimen from start to finish. It’s the next best thing to me being there! Call Randee Strand at 469-358-2813 for more information, or email me at randee@randeestrand.com. Just a few of the premium makeup brushes we offer. 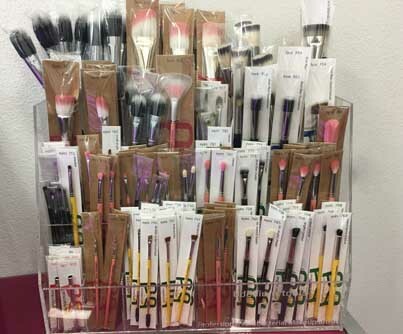 Our full line of premium makeup brushes.